Divide and conquer. New research shows that when people try to do two things at once, each half of the brain devotes itself to a different task. Researchers used functional MRI brain imaging to monitor the activity in the brains of volunteers who were performing two different tasks and found that when doing one task, both sides of the brain work together. But, when doing two tasks at once, one half was activated while doing one task while the other half matched that of the other activity. This may explain why people can generally perform two tasks at once well, but not more. The report is from the journal Science. It was done in France. 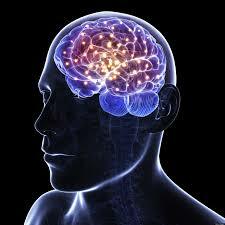 This research is starting to look at our brain while the brain is functioning. We’re realizing those studies are very important.